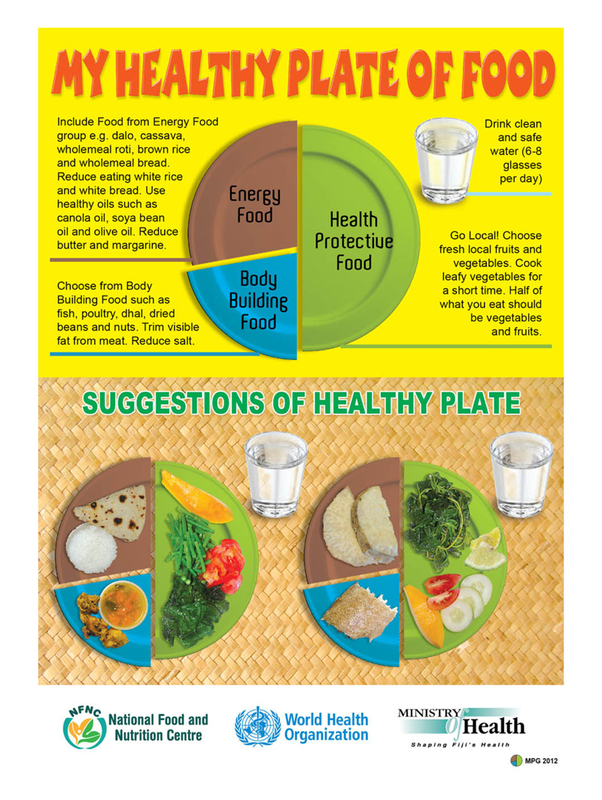 Healthy eating is a crucial ingredient in maintaining your wellness and staying healthy. Both the types of food we eat, and the amounts of food we eat are important when it comes to health. In Fiji we are blessed with a land full of healthy fruits and vegetables, and a sea full of delicious and nutritious fish and seafood. With the modern world catching up to us, so too has modern food. This has meant an influx of foods with high levels of salt, sugar and fat, such as noodles, soft drinks and fried foods. While our taste buds have had no problems keeping up, our bodies are paying a heavy price with Non-Communicable Diseases (NCD) such as Diabetes, Obesity, and Cancer now at crisis levels in Fiji. 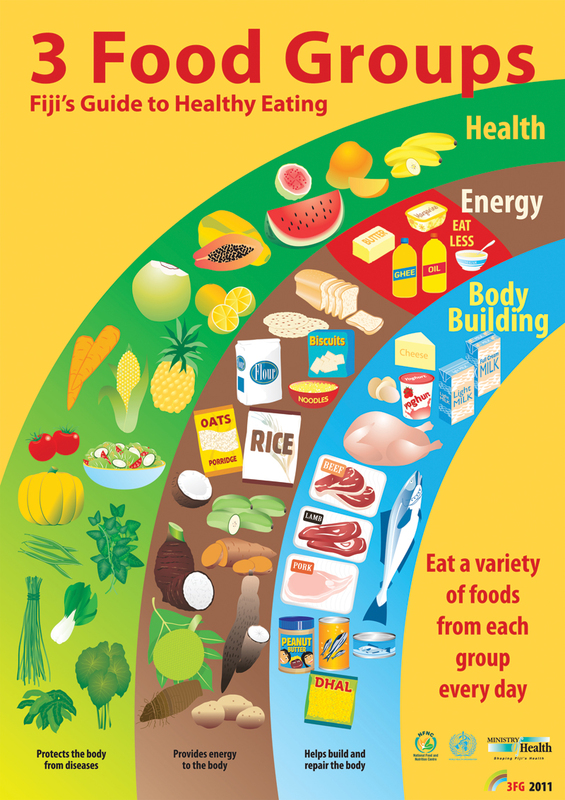 Healthy eating means eating the right balance and amount of health, energy and body building foods. It also means keeping unhealthy foods such as fried and sugary food and drinks as treats rather than everyday foods. How is Fiji doing in terms of Healthy Eating? While there are some wellness champions out there leading a healthy life full of healthy foods, unfortunately as a whole we’re not doing to well. From 2002- 2012 overweight/obesity rates has risen by 8.4% (from 58.5% to 66.9% Source: STEPS), this means over half of Fiji is in an unhealthy weight range. This is largely due to the overconsumption of the wrong foods and lack of physical activity. On top of that only 15% of Fijians are eating enough fruit and vegetables each day, suggesting we’re not getting enough healthy foods, while rising levels of high blood pressure and cholesterol suggest we’re eating too much salt, sugar and unhealthy fat in our diets. How much should I be eating each day? Most adults only need around 2000 calories everyday, it is up to what 2000 calories looks like. Your body will love you if you make the healthy choice. Just look at the difference here between a healthy 2000 calories and an unhealthy 2000 calories. 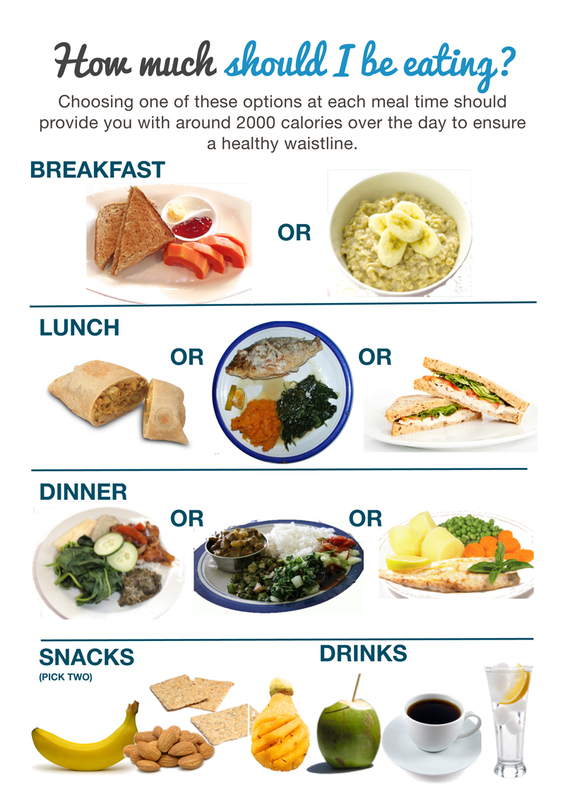 Choosing ONE of these options at each meal time should provide you with around 2000 calories over the day. I have to be vegetarian to be healthy. Both meat eaters and vegetarians can be healthy or unhealthy. For example a vegetarian who eats a lot of fried foods is still at risk of high cholesterol and obesity, while a meat eater who trims the excess fat off their meat and chooses healthy options like fish can have a clean bill of health. The healthiest foods have it written on their labels. The healthiest foods in Fiji are often grown right here in Fiji or in little to no packaging. Health foods like colourful vegetables and delicious fruits provide vitamins and minerals. While Energy foods like dalo, rice, and grains and minimal lentils like dahl, chickpeas and beans, full of fibre and protein, come in plain packets. While fresh meat and fish is often wrapped right in front of you. As a general rule, foods that are better for you don’t have a label, while packaged foods contain a lot more salt, sugar and fat but try to draw attention away from this with claims of ‘low fat’ or ‘high in Vitamin C’. A healthy diet can include treat foods, just as long as they stay treats. This means basing your diet on real Khana/Kakana such as fruits, vegetables, grains, legumes, lentils, meats and dairy products with treats such as biscuits, juice and sweets only popping in sometimes.